Don’t forget to book in for this months card class. It will be held on Friday the 24th at 7:30pm and will cost $25. This month we are making 4 cards to go in a box. We are also making the box. The box actually fits 8 cards in it so there is room for participants to practice the techniques used in class at home. 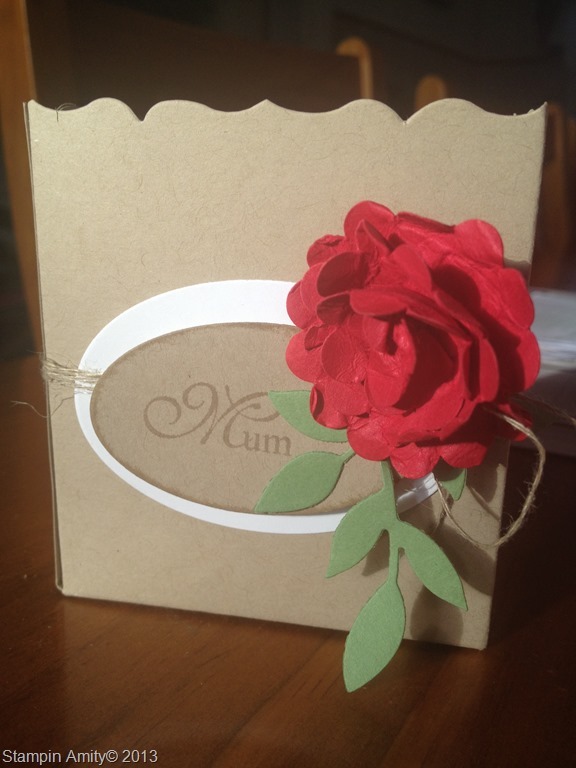 The box would make a beautiful gift or you could just use it to store your cards yourself. After all it is sometimes very difficult to give away your wonderful creations. Don’t forget to contact me to book your place. As yet I haven’t posted any pictures of last months card class. 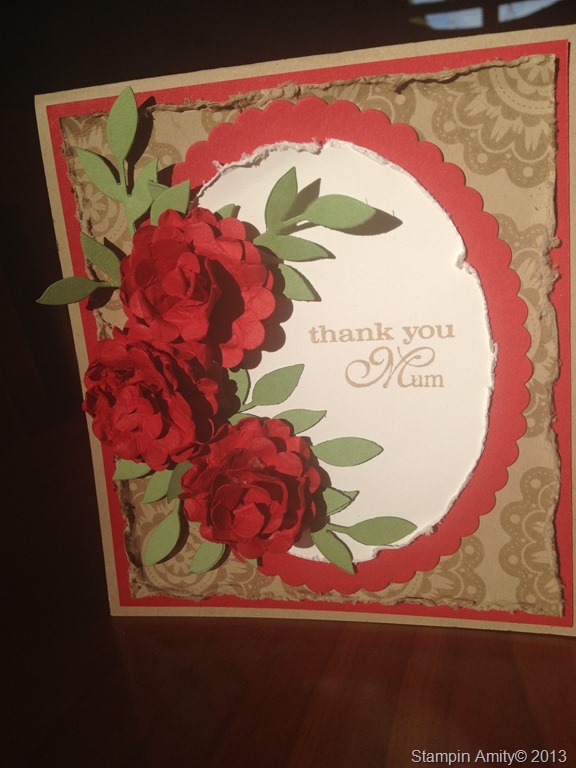 I really enjoyed making these cards and was very proud of the ladies who made their cards. They all doubted their ability to make the flowers and all did a wonderful job. It was a bit of a tough ask, time wise, to make 3 items in one evening but everyone persevered and got them made. I have fallen in love with these colours. I already loved wild wasabi but crumbed cake and real red are my new favourites. I just love them. As you know my photography is poor and my photos just don’t do these items any justice. I will be attending the Stampin’ Up! convention in 9 days time. 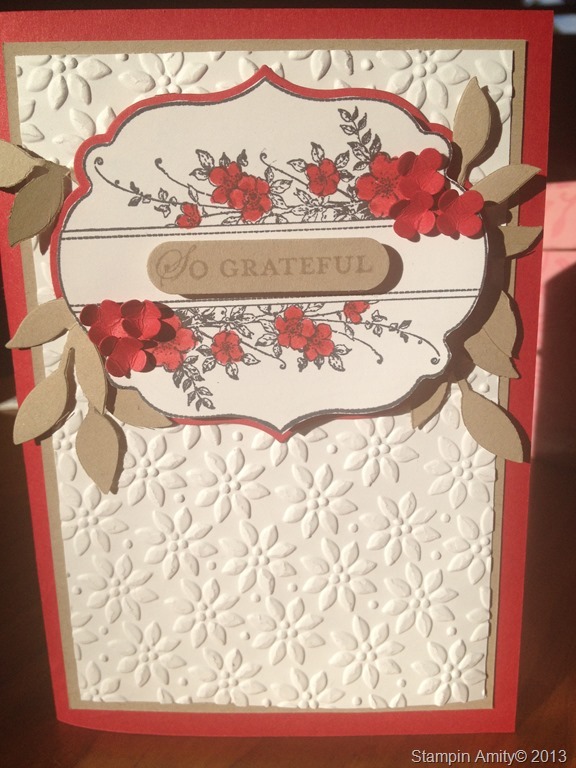 I am very excited to be learning more skills and meeting more members of the Stampin’ Up! community. No doubt I’ll be so tired after the 3 days but it will be soooo worth it.